Enclosed scoop holds one level teaspoon. 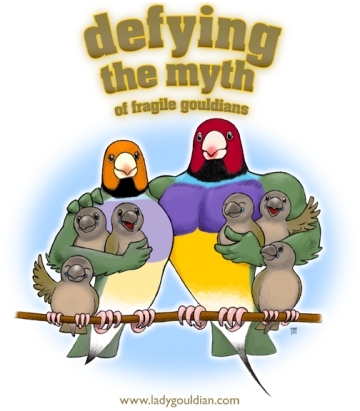 Feed to adult birds daily during the breeding season and to young growing birds daily year round. One pinch per bird per day during the breeding season, OR one level teaspoon per day on fruit, vegetables, soaked seed or softfood for 20 pair of finches, 10 pair or cockatiels, or 6 pair of greys. 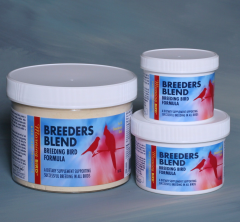 Breeders Blend works best in combination with Morning Bird’s Calcium Plus. When using Breeders Blend, discontinue using any other vitamin-containing supplement. Breeders Blend does not contain any Iodine, so you will need to use the Liquid Iodine in the drinking water daily or Dr Marshall's Ioford twice a week in the drinking water to supply your birds with Iodine.